Is YOUR Lead Generation Effort WORKING? Did you send out direct mail and no one responded? Did you launch a lead generation effort and don’t see the results you were hoping for? It could be the list! In any Lead Generation effort — the entire success of the campaign relies on the list. Once you have that determined- typically by sourcing Employee Count and Revenue — to match your current Customer Base — the next critical stage is to confirm the name and title of the Key Decision Maker. Without that — great results are impossible to obtain. Take a look at this case study as an example. A long-term Customer of ours sent us a list and asked us to book Qualified Leads on behalf of their sales team. They mentioned that they had sent mail to this list about a week or so ago. Since that is our SPECIALTY — we were very excited — but we had some questions. What did the mail look like? Are the contact names confirmed? The only information we had to go on was that the target audience were sent information in the form of a note pad — and it had a compelling offer — illustrated on a beautiful brochure. Many listed as the main contact were no longer with the company for several years, or moved positions. Some prospects with all the above. Only able to confirm 3 of the prospects received their package. Where we have found challenges or lack of interest have been organizations that are just too small, and basic offering did not apply. Can you see from the above listing why positive results would be hard to achieve? 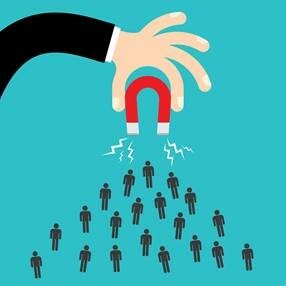 Good luck with your Lead Generation efforts!